Bethesda E3 2017 Announcements: All the Details Right Here! Here are the announcements from the Bethesda E3 2017 press conference! A new feature, called Creation Club, has been announced for Fallout 4 and The Elder Scrolls 5 Skyrim Special Edition. This platform is where the community and Bethesda can curate new creations such as items, weapons, and accessories. Creation Club will be officially launched Summer of 2017, and is available for PC, Playstation 4, and Xbox One. Applications for Creation Club is done through the Bethesda website. Those who were able to be accepted into the program will get paid for their work. 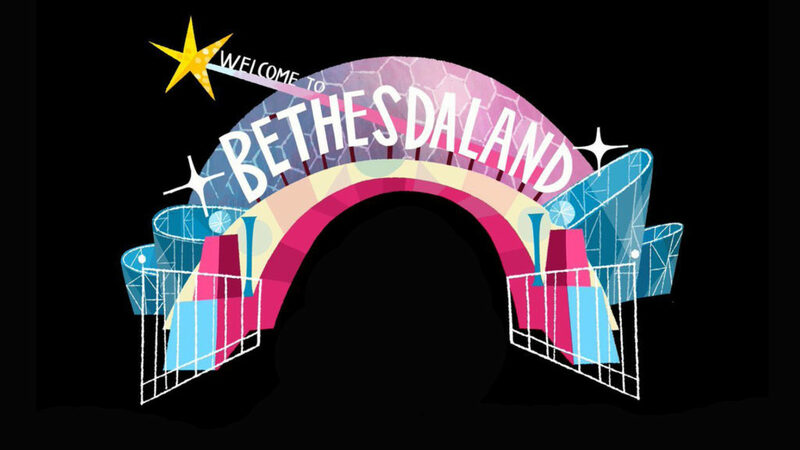 Getting in will not be easy, though, as Bethesda will require applicants to submit documentation pitches. The VR port of the first-person shooter game, DOOM, was also announced during the Bethesda E3 2017 press conference. It is slated for release by the end of this year. One of the port’s highlights is its unique dash-teleportation mechanic. Dishonored 2 is getting a standalone DLC called Death of the Outsider. It features a revenge-driven story with a plot for “the ultimate assassination.” The expansion stars Meagan Foster, the character who gives out quests from the main game. The free-to-play card game Elder Scrolls Legends is coming to Android and iPhone. It will also get an expansion, Heroes of Skyrim, and it is set to be released on 29 June. The expansion adds 150 new cards plus Shouts, and dragons. The Elder Scrolls Online has reached the 10 million mark in terms of registered players. Bethesda has also announced that they’re releasing two new DLC packs: The Horns of the Reach and Clockwork City. They are scheduled to be released this year. The Elder Scrolls V Skyrim is coming to the Nintendo Switch. It will have Amiibo support. The Evil Within 2 will be released on 13 October 2017 and will be available on PC, Playstation 4, and Xbox One. Bethesda announced another VR game, and this time it will be Fallout 4. Fallout 4 VR will be available on the HTC Vive by October of this year. The Quake Champions Open Beta is back, and it will be open to everyone until Bethesda decides to end it. Aside from that, Quake Champions is going to have a major tournament (Quake Championships) with prize money of $1 million! The esports tournament is scheduled to happen during QuakeCon in 26 August. Bethesda has officially unveiled the new Wolfenstein game, Wolfenstein II: The New Colossus. It will be available starting 27 October. The game also marks the return of series hero BJ Blazkowicz. Looks like Bethesda has so many games and awesome stuff lined up! Which of the games mentioned are you excited for? Tell us in the comments! Microsoft E3 2017 Announcements – All the Games and Trailers! Check out the Microsoft E3 2017 game announcements, trailers, gameplays and updates revealed during the press conference!